Last week, I wrote “Radicalism and Reality (A Response to ‘Here Come the Radicals!’)” The next day I had lunch with a friend, Rick. Both of us are fathers and in our fifties. We’re technically Baby Boomers, and we talked about our issues with struggling with the fallout of being younger Baby Boomers who didn’t buy the whole Baby Boomer mentality hook, line, and sinker. In short, we’re trying to find a path faithful to Jesus while being Americans who grew up at a time when Superman still stood for Truth, Justice, and the American Way. My Facebook wall last week saw numerous folks linking to a post by Brant Hansen, a Christian radio personality. I’ve followed Brant’s writings online for years, and he is an astute critic of institutional Christianity, especially as it promotes the American Civil Religion. He’s a brilliant writer, and he’s right about most topics he engages. But Hansen wrote a post last week that bugs me, not because it’s not right, but because it’s wrong. And that’s an important distinction. Wrong carries more weightiness to its outcome, in my mind, and it needs some kind of counter. The article: “The Krusty Sage: Your Kids Don’t Need Your Stupid Success Track.” As they say, read the whole thing. It’s impossible not to see Hansen’s post in any light apart from the one I noted in my post on radicalism. The juxtaposition is just too timely. Hansen’s post suffers from the very issues I noted in that post. While speaking to the Hansen post, I hope I can add further insights to the problem of radicalism and reality and the struggle I discussed with my friend Rick. Remember Superman’s defense of Truth, Justice, and the American Way? That last element in the trio is a system. You and I live in a system. Most reading this are Americans, so we’re part of a system in this country that defines our national identity. That system consists of governmental, economic, social, cultural, educational, and other, lesser elements that shape who we are. Someone who lives in a different nation might encounter a different system, but regardless of where we live, our local system makes a tremendous difference in our lives. Systems consist of a multiplicity of conformity expectations. Part of the American system demands paying taxes. All are expected to attend school. We are asked to know something of our history as a nation. And while the expectation that each person will contribute something positive to the system rather than leeching from it is not quite what it was when I was a child, it remains for the time being. Systems have rules. Don’t shoot your neighbor and steal his stuff. Try to be kind. Show up to work on time. Systems have mantras. Get an education, work hard, and you can achieve your dreams. If we don’t defend our rights, we will lose them. Everyone in America is part of the American system, and most of us know what is asked of us because we are. Systems are big, complex, imposing, and frightening. They are like many-headed hydras. In Greek mythology, Hercules fought a hydra, and it was a nasty battle. The problem for anyone who takes on a system is that most systems are not as clearly defined as Hercules’. Today’s systems are friend, foe, and indifferent bystander that couldn’t care less whether you live or die. This hydra kisses you with one serpentine head and bites you with another, while a third head stares blankly into the distance. It gets even more perplexing when the head that bit you yesterday is kissing you today. 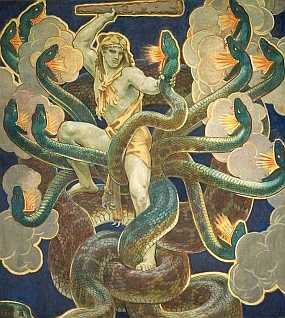 The problem for Christians comes in trying to deal with the hydra. We fixate on whichever head seems to appeal to us or annoy us most, ignoring the rest, and forming a misguided understanding of the creature. Not to mix metaphors here, but we all know the story of the blind men and the elephant. From touch alone, each blind man “saw” only one aspect of the elephant, so each imagined a creature that bore no resemblance to the real thing. For those in the radical evangelical camp, every head of the hydra bites. The solution is to hate the creature and fight every head to the bitter end. For those in mainline Protestantism, every head delivers a kiss. Embrace the hydra because it is your friend. Neither view is accurate. And holding either of those views will not help anyone deal rightly with hydra-like systems. Do not love the world or the things in the world. If anyone loves the world, the love of the Father is not in him. For all that is in the world–the desires of the flesh and the desires of the eyes and pride of life–is not from the Father but is from the world. And the world is passing away along with its desires, but whoever does the will of God abides forever. Children, it is the last hour, and as you have heard that antichrist is coming, so now many antichrists have come. Therefore we know that it is the last hour. They went out from us, but they were not of us; for if they had been of us, they would have continued with us. But they went out, that it might become plain that they all are not of us. But you have been anointed by the Holy One, and you all have knowledge. If all of the Bible followed nothing more than that one aspect of faithfulness, the radicals would have a case. 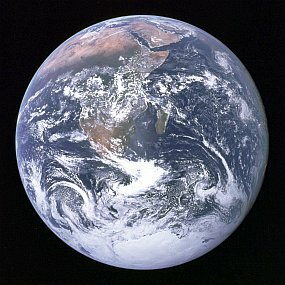 They could point to world systems and claim all they do is bite, that they are evil, that even our family members will be seduced by them, and that we should have nothing to do with systems, ever. After [Jesus] had finished all his sayings in the hearing of the people, he entered Capernaum. Now a centurion had a servant who was sick and at the point of death, who was highly valued by him. When the centurion heard about Jesus, he sent to him elders of the Jews, asking him to come and heal his servant. And when they came to Jesus, they pleaded with him earnestly, saying, “He is worthy to have you do this for him, for he loves our nation, and he is the one who built us our synagogue.” And Jesus went with them. When he was not far from the house, the centurion sent friends, saying to him, “Lord, do not trouble yourself, for I am not worthy to have you come under my roof. Therefore I did not presume to come to you. But say the word, and let my servant be healed. For I too am a man set under authority, with soldiers under me: and I say to one, ‘Go,’ and he goes; and to another, ‘Come,’ and he comes; and to my servant, ‘Do this,’ and he does it.” When Jesus heard these things, he marveled at him, and turning to the crowd that followed him, said, “I tell you, not even in Israel have I found such faith.” And when those who had been sent returned to the house, they found the servant well. …we have the tempering verses above. Paul asks Christians to live peacefully and properly within the system. In this case, the system was Rome, the same Rome vilified in the Book of Revelation. And the same Rome is exemplified by the man of war and Roman politics, the centurion who is called a friend of the Jews and who Jesus not only calls faithful but who receives no rebuke from the Lord for being a stellar representative of the jackbooted system that was Rome. Systems are. They are relentless, inevitable, ubiquitous, huge, localized, lumbering, swift, stupid, genius, friend, foe, and indifferent bystander. By their very nature, systems are ridiculously difficult to deal with because they are all things. When they support our cause, we love them. When they don’t, we hate them. Their very complexity makes them nearly impossible to fight, especially when we do so as disconnected individuals. Systems are not impervious to change, but they change only when longterm pressure from united fronts forces them to. And then they do so begrudgingly—unless changing is better for PR. If we fight the biting hydra head of the system, we will most often lose if we fight alone or with the wrong weapons. And then there are the other two kinds of heads. If we always believe the kissing hydra head will always be what we trust it will be, then we will eventually be bitten or ignored, most often at a time when kissing is greatly desired or needed. We can’t think generally about the system. We need to be wise. And Christians need to be much wiser, because there IS truth to the reality that—ultimately—the system does not really like us all that much, kissing or indifference be damned. You’re not here to develop skill areas, pops. You’re here to develop character. As a Christian parent, you are here to present your child mature in Christ…within the system in which you and they live. Yes, character is part of that equation, but it’s not all. What we do as a parent we do within a system. That makes our job harder, because while we can say all hydra heads are solely one type, that insistence isn’t accurate. What we must consider carefully as a parent is whether our insistence on labeling the hydra heads incorrectly will be a detriment to our child as our child participates within the system. Obviously, even if if we mistakenly label all hydra heads the same, we will get some of that labeling correct, and we need to respond appropriately. For instance, we cannot have the world as our master and God as our master. God is jealous for His role as master in the Christian’s life. No other gods. If the system asks us and our child to bow down to other gods, we can’t do it. But knowing what is another god is not always as simple as the radicals paint it. Labeling a hydra head a biter does not make it so. This is where the radicals err. When my local NFL football team debuted back in the late 1960s, a ticket to see a game cost under $10. Today, it’s into triple digits. The cost of entry went up. If I stood at the ticket area of Paul Brown Stadium and demanded to pay $10 for a ticket, the seller would laugh in my face. And for good reason. I may not like how much a ticket costs, but until I band together with a large number of others also incensed about the price, that cost of entry is not going down. In fact, it will continue to rise. My father worked with men who were experts in their fields, but some had only a high school education—in the pharmaceutical industry. Today, it is laughable to think a chemical engineer in big pharma would have just a high school diploma. The cost of entry today is not even a bachelor’s degree but a master’s, and even now a Ph.D. is preferred. One day, it may be the cost of entry. We who possess the the once mighty—but now lowly—bachelor’s degree can howl all we want, but the system does not care. It is what it is. Here’s another reality few of us like: The college we attended makes a difference. In fact, all the little chances we got in life to get an advantage over the other guy or gal make a difference. In his book Outliers, one of the phenomena Malcolm Gladwell studied is the exponential nature of advantages great people enjoy. One major example is in hockey. Gladwell noted that kids born in the first couple months of the year enjoyed a maturity advantage in junior hockey clubs due to age-based enrollment cutoffs at the end of the year. Those January and February-born kids were slightly more mature than those in the latter months of the year, and at every stage in development, they were given training advantages that the slightly younger kids did not receive. This multiplied over time. The final result? The NHL is disproportionately stacked with players who celebrate their birthdays in the first few months of the year. Gladwell goes on to note that the great people in our system are those who took advantage at each stage in development of the opportunity to step up to the next level before their peers. And that’s an inescapable reality of the system. In other words, the cost of entry is not only higher, but those who get into the game do so solely by excelling. We must pay to play AND we must grab advantages when they come. Here’s where it’s tough. Every study done in the last 20 years says the same thing: People who use the system to their advantage are happier than their counterparts who fail to. By a large, large margin. Life is tough for those who don’t make the cutoff, and it’s getting harder and harder. If success can be exponential, so can failure. That’s the system as it stands today, the one our children must engage. The crazy thing about this? Christians banded together to demand many of the aspects of the system they now want to fight. Christian parents fought for higher standards in schools, the school system responded, and now parents don’t like the way the system implemented those requests. We have pathetically short memories of our own battles and how they may have backfired. And the system rolls on. 1. We can fight a system actively. Those who feel called to fight in the culture wars are fighting to the last man against the system. For the most part, they have lost. 2. We can fight passively. This is the bunker mentality. It’s the thinking Hansen proposes in his piece. Unfortunately, the system goes on regardless, and the rules get harder and hurt more for those who decide not to abide by them. 3. We can work for change within the system. This requires Christians to understand the system, band together, and play by the system’s rules to change it. Unfortunately, given how poor Christian community expresses itself today, banding together in anything is difficult, if not impossible. 4. We can create a parallel system. Christians can establish alternatives to the aspects of the system they dislike. The challenge is that most Christians are not up to this task because it is much harder to enact than simply fighting the system either passively or actively. If we teach our kids to ignore the system or to constantly fight it, they are going to get bitten constantly by its many heads. Instead, as parents, we need to equip our children in a way that plays by the system’s rules but without losing our souls or theirs in the process. Our kids need to have both the character and the skills to deal with the hydra’s multiplicity of heads. If the system demands a higher level of skill, then we have to equip our children with those skills. Or we work to change the system. Or we create an alternative system. Besides, which parent among us can look our kids in the face and tell them that as good as they are on piano, we’re not willing to develop that skill in them because we don’t want our kids on a success track? What then do we say to our kids when they want to excel at piano-playing, but the talent cost for entry is so high that there’s no way for them even to get in the door for the audition because we refused to help them? And all because we thought we could drop out of the system and not play by its rules. Hansen should know about the cost to play. As a radio personality, he must deliver revenue or else he’s off the air. Thirty years ago, that was less the case, as the novelty of an on-air Christian radio personality was cause enough for a station to take a risk on one. The question now is, what must Hansen do to deliver revenue within the system that is contemporary Christian radio, and how does that compliance work within that system, especially since that system has changed tremendously over the years? Hansen says that developing relationship trumps skills. I’ve been saying for years that the Church is in trouble regarding interconnectedness and community, so obviously, relationships are critical. Hansen and I agree that relationships matter. But the system doesn’t care about your relationships or mine. It cares only for the skills you and I bring to the system and how they work to better it. To ignore skills in favor of relationships doesn’t work. I’m sorry that life isn’t as simple as it once was. I can’t be a doctor without going to medical school and incurring a crushing amount of student loans. And when the radicals say that I should take my training to Africa to serve as the doctor in a village with a huge AIDS orphanage, which of those radicals is going to pay my student loans for me when I do? Will the relationships I develop mean that someone I know will pay those debts for me? And if they do, what concessions did those people make to the system to have a career that makes enough money for them to cover my debts? The Church is not wisely addressing these issues. Too many Christian leaders make ill-informed statements about how people engage the system. The practical applications of those statements do not work in far too many cases. And then where are those same leaders when the people who believed them crashed and burned and have no second chance to regain what they lost? We need to work to see our children mature in Christ within the system in which they live. That means developing not only their spiritual lives but also their skills so that they are capable of engaging the system for Christ and for themselves. As Christians, we are cautioned not to love the system. But not loving the system does NOT mean we fight it constantly, whether actively or passively. We have to find some middle ground based on wisdom. This is what the Bible asks of us. Render to Caesar what is Caesar’s and to God what is God’s. Yet in the wake of his post, Hansen later rebuffed those who called for balance. Francis Schaeffer many years ago said that Christians needed greater wisdom when dealing with the system. To him, the answer was not to drop out of the system but to engage it with all the truth of the Gospel. I firmly believe that one reason we find ourselves as a Church struggling against all the bad things we see around us is due to our unwillingness to engage that system with truth in a graceful, winsome, and intelligent way. Because the system is unlikely to change without a Christianity that is sober, reflective, and wise about the way the world is and where we as Christians fit into it. The American clergy is suffering from burnout, several new studies show. And part of the problem, as researchers have observed, is that pastors work too much. Many of them need vacations, it’s true. But there’s a more fundamental problem that no amount of rest and relaxation can help solve: congregational pressure to forsake one’s highest calling. The pastoral vocation is to help people grow spiritually, resist their lowest impulses and adopt higher, more compassionate ways. But churchgoers increasingly want pastors to soothe and entertain them. It’s apparent in the theater-style seating and giant projection screens in churches and in mission trips that involve more sightseeing than listening to the local people. As a result, pastors are constantly forced to choose, as they work through congregants’ daily wish lists in their e-mail and voice mail, between paths of personal integrity and those that portend greater job security. As religion becomes a consumer experience, the clergy become more unhappy and unhealthy. Apart from the fact that the author is a pastor in the United Church of Christ (mainline, non-evangelical, and compromised to the nth degree) is his point still valid? And does it extend to more evangelical churches? What are we to make of the vision of the congregation today when compared to its leaders? Are the people in the seats simply more worldly and self-centered than their counterparts of 50 years ago? And what are we to do about this? Your thoughts are appreciated. Please leave a comment below.